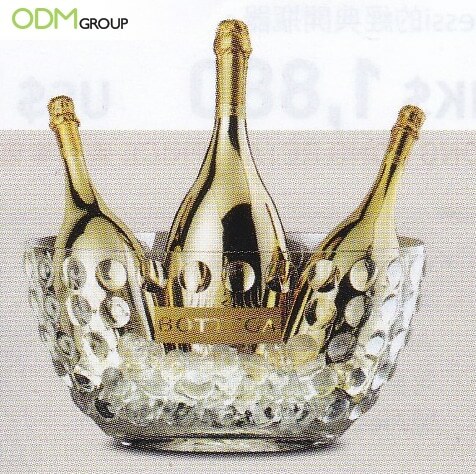 Check out this promotional offer by Bottega – their latest deal gives customers this beautiful golden ice bucket design! This luxury free gift is offered to duty free customers who buy the Gold Spumane Brut and a set of either Bottega All About Prosecco or the Best of Italy Set. Offering a gift with purchase is a fantastic way of incentivising customers to buy your product. Particularly when the promotional gift is practical and enhances the customer experience with your actual product. In the case of this custom ice bucket, this is certainly the case; not only will it make for a beautiful display of the customer’s purchase, but it will chill the product, enhancing the taste of the Brut. This is not the first time we have seen a branded ice bucket. However, we particularly love this beautiful, timeless design and the placement of the company logo. Free Gift Incentive: To push sales, offer your customer a gift! Happy customers will maintain loyalty to your brand. People would feel that they received more than what they paid for, thus they are more willing to purchase your items. Practical: Cheap but effective! An Ice Bucket will cost you very little to design and produce but with its practical elements and marketing potential it will work wonders on your company campaign! We at ODM also believe that a gift with purchase works particularly well if it is one that enhances the customer experience with your existing product. Bespoke Design: The custom design makes it an exclusive product. This ice bucket, big enough to hold 3 bottles of the product, is eye catching and unique. Certainly, it is no surprise that Bottega’s accessories are sophisticated, timeless and high-quality – much like their wine products. Extension of Brand Logo: Offering a branded gift with purchase additionally produces great marketing benefits to the company. Free and extended marketing of the brand helps to popularize the company to customers. Get thirsty with these wine promotional ideas! 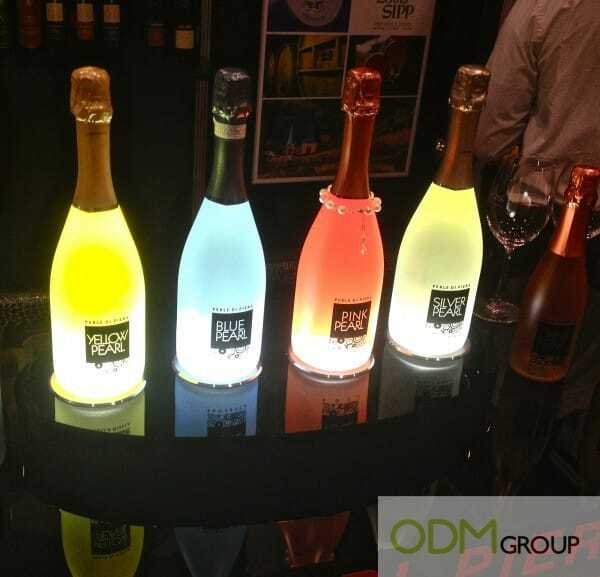 Perle Di Piera is certainly showing all they’ve got with their cool LED bottle glorifier for showcasing Champagne bottles. This table is massively eye catching and it will definitely bring people towards your products. This way it will boost brand visibility and in turn generate sales! 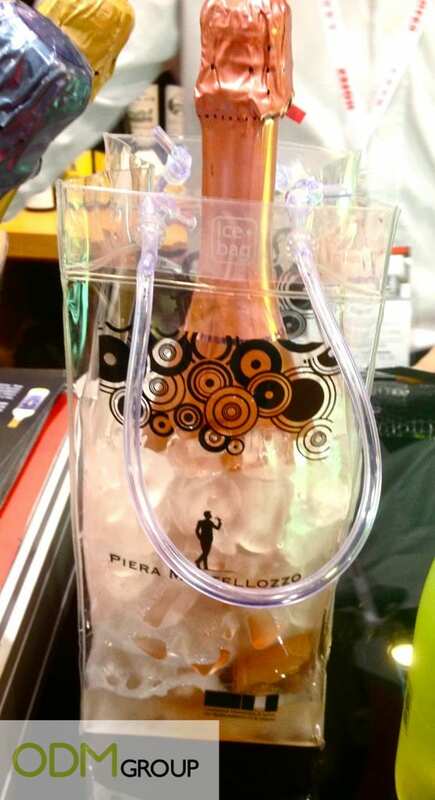 This other promogift that they are offering is an ice bag, a thick plastic pouch to hold your wine bottles and it keeps them cold. If you are a looking for a cool way to carry your bottles, well, here you go! All you have to have is a hook at the end of your tables and you’re all set to captivate your diners. This would be a fantastic marketing gift for restaurants serving wine in a cool and hip environment. Could your company benefit from a gift with purchase? Do you need help with ice bucket design and manufacturing? Please feel free to contact us, if you have a similar idea for your products. We can also provide product brainstorming sessions with our in-house design team Mindsparkz. Aside from this, we also offer a range of other services. We can assure you high quality in design and production. Check out our blog for more ideas for your promotional products! Check out this LED Light Display – here at the ODM Group we have extensive experience working with LED lighting to enhance your display. Get in contact with one of our team members today to find out how this could enhance your companies marketing.